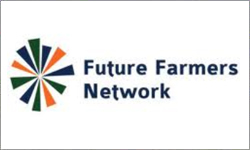 Welcome To The Future Farmers Network! The Future Farmers Network is Australia's only National network that represents members from across all aspects of the industry including those who work on farms to remote stations; stock and station agents; commodity traders; and those from banking and industry support roles located in our major cities. All our members have an important role to play in Australian agriculture. 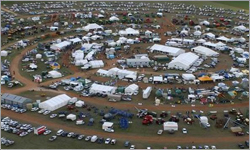 Australia’s national beef exposition is one of the world’s great beef cattle events and is held just once every three years in Rockhampton, Queensland, Australia. 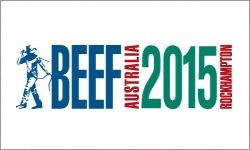 Beef Australia 2015 will be held from May 4 to 9 and will be a celebration of all facets of the Australian beef industry. It will facilitate new trade and export opportunities by exposing the local supply chain to the international industry leaders. New agvet chemical legislation passed parliament today in a significant win for Australian farmers and the wider agriculture sector. 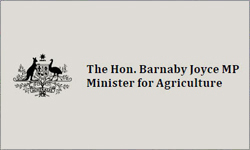 Minister for Agriculture, Barnaby Joyce, said the new legislation reduces the burden of regulation by $1.3 million per year and delivers greater efficiency and lower costs for agriculture and industry whilst ensuring that existing protections aren't compromised. It is the combination of practical breeding principles including fertility, calving ease, weight for age and carcase quality that sets Yamburgan apart when it comes to our strength in all selection indexes. 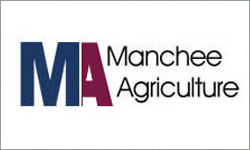 Our 19th Annual MA BEEF Yamburgan Shorthorn Bull Sale will offer 85 bulls with the choice of some of the breeds highest indexing young sires. All bulls have been prepared for sale on forage oats with full supplementary details available on sale day. 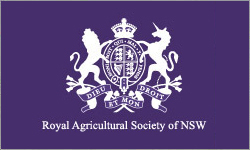 The Royal Agricultural Society of NSW (RAS) Foundation is proud to announce the 52 students who have been awarded Rural Scholarships in 2014. Among the recipients is a second year planning student, an aspiring mechanical engineer, a Bhutanese refugee from Nepal and a physiotherapy student keen to work with the Royal Flying Doctor Service. 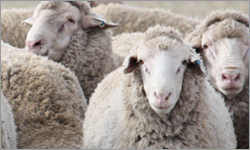 In August of each year, Narlo Dohne Merinos ram sale is held, offering approximately 40-50 rams. Having being involved in the Eyre Peninsula Dohne Ram Sale for the previous four years, in 2011 Narlo Dohnes returned home to continue its on-property ram sales. In 2012 our top selling ram sold for $3000 and the average was $850. The owners of this exceptional 42.96Ha (106acre) rural property have left no stone unturned in the presentation of this impressive cattle property. The large open plan 3 bedroom brick home is perfectly positioned to take advantage of views over the property as well as catching the afternoon breeze. 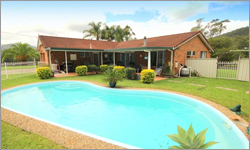 The home features 2 bathrooms, modern kitchen, formal lounge, double garage and covered entertaining area, overlooking a sparkling in-ground salt water pool. 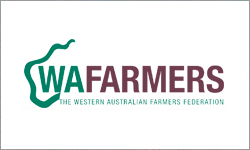 Members of the National Farmers’ Federation (NFF) have today committed to strengthen and unify the voice of farmers across Australia, endorsing a way forward for reform of farm sector representation. An interim report of the review of farm sector representation by Newgate Communications, presented to the NFF Members’ Council this week, outlined the results of extensive research within the farm sector over the past six months. 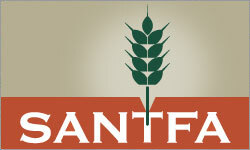 The report will be finalised in the coming weeks. NSW Farmers welcomed the findings of the latest report released from McKinsey Consulting which highlighted that farmers were the key drivers in the most competitive sector of the economy - agriculture. The report released this week Compete to Prosper: Improving Australia’s global competitiveness stated that while other industry sectors were noted as having a substantial comparative advantage, that advantage was flat or diminishing. McKinsey’s report took a different view on the role of government. QFF has prepared a short video explaining the Local Management Arrangements investigations of SunWater channel irrigation schemes. The video features LMA independent chair Leith Boully, Bundaberg interim LMA chair Maurie Maughan, and Bundaberg interim LMA board member Jim Carney. AgConnectWA, WAFarmers’ group for young people with an interest in agriculture, elected a new President and Vice President at its annual conference, #GenerationforChange, on the weekend. Kallum Blake of Katanning was elected to the position of President, with Katie Pole, from Larrawa Station near Fitzroy Crossing, elected as Vice President. Mr Blake thanked the outgoing President, Andrew Whitelaw, for his dedication to connecting young people in the industry and said he was eager to continue the job. An Australian Free Trade Agreement with China is an opportunity for growth, not a threat, says the nation’s largest dairy-farmer lobby group. “We’re primed and ready to boost our milk production in the wake of an FTA with China,” United Dairyfarmers of Victorian president Tyran Jones said. “And we look forward to helping the Federal Government secure this trade deal.” As Federal Agriculture Minister Barnaby Joyce told the Rural Press Club earlier this year - Australia’s competitive edge lies in what’s under the ground and what grows out of it. Tasmanian farmers today welcomed the state government’s expressed resolve to facilitate the island’s potentially lucrative industrial hemp growing industry by removing unnecessary red tape that has so far hindered its development. Tasmanian Farmers and Graziers Association chief executive Jan Davis said this had been a potential industry going nowhere despite a 2012 Legislative Council recommendation that the government remove unnecessary red tape to allow it to proceed.